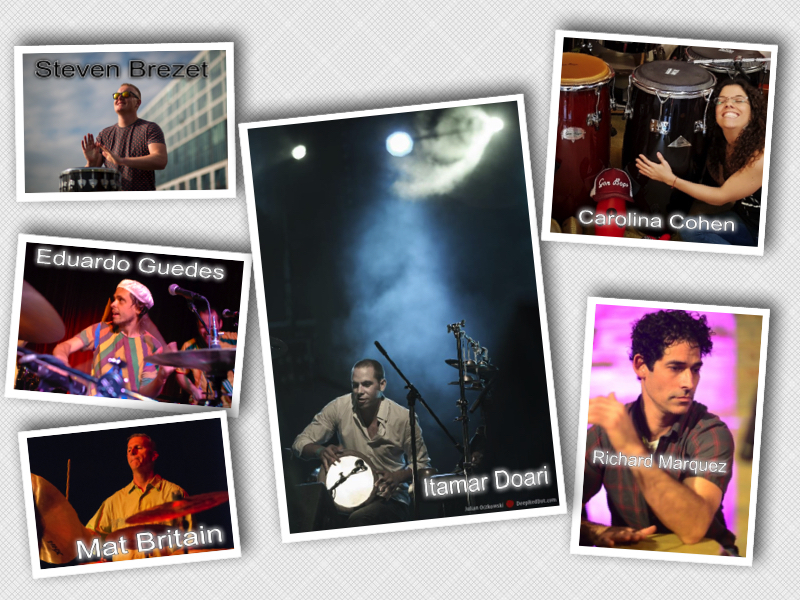 Gon Bops welcomes drummer/percussionist/composer Yissy García! Yissy is one of the most respected artists to emerge from a particularly exciting new generation of Cuban musicians. 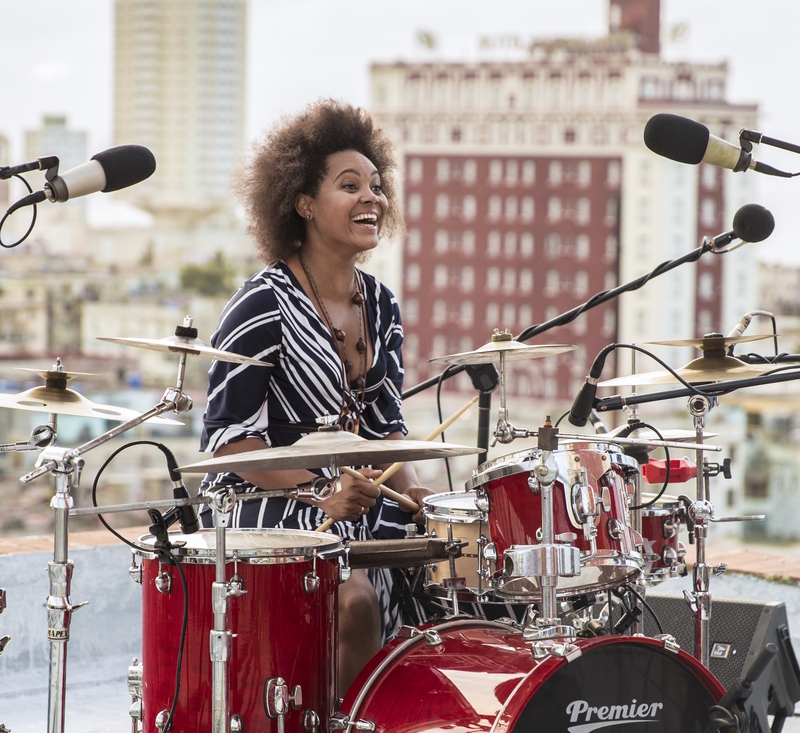 Considered to be the islands most prominent female percussionist and one of its most dynamic and innovative performers, she demonstrates the art of combining traps and percussion, drawing from both folkloric and popular Cuban music as well as contemporary jazz and funk styles. For more info, please visit her artist page! 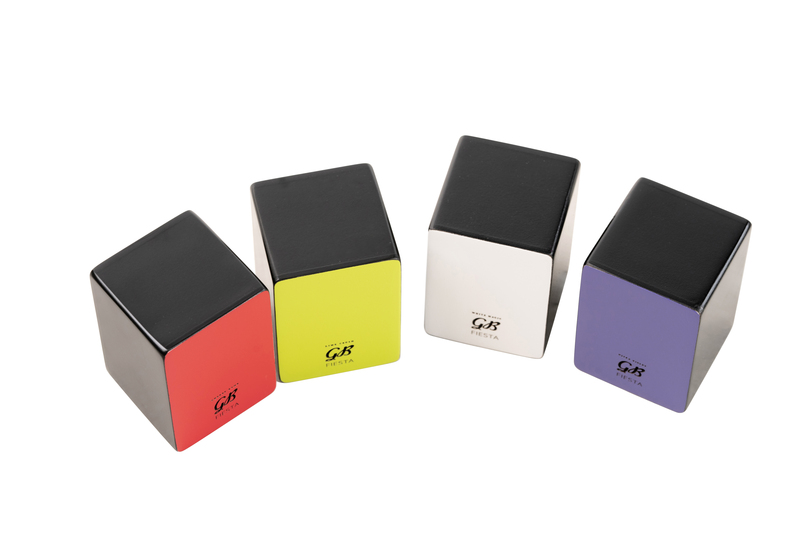 Gon Bops new Fiesta Mini-Cajon Shakers are a smartly-packaged four-pack of mini-cajon shakers, each of these fun shakers offers a distinct shaker tone, offering 4 cool sounds per box. Cherry Bomb, Lime Crush, Ultra Violet and White Magic colors make a great addition to your collection of shakers, or make a perfect gift for the young percussionist in your life. With their premium eco-friendly box packaging, they make an attractive counter-top item at any retail location. 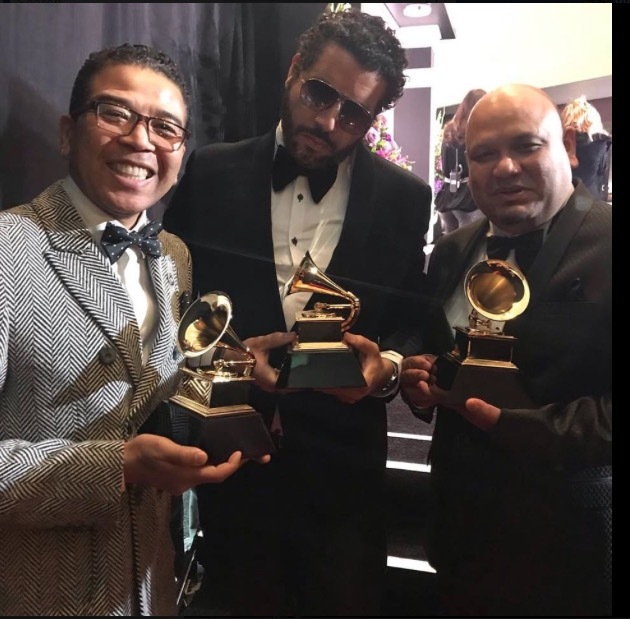 Congratuations to Gon Bops artists – Grammy Winners Luisito Quintero and MB Gordy!! Luisito won Best Tropical Latin Album last night for his band Spanish Harlem. 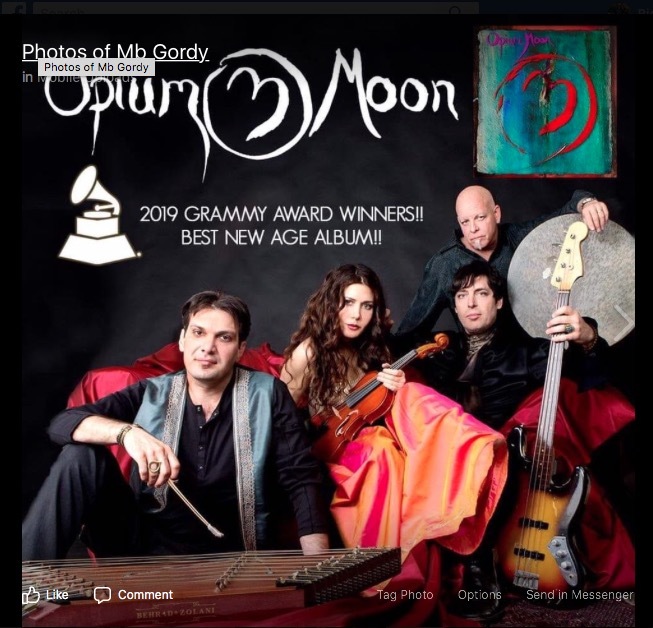 MB Gordy took the trophy home last night for Best New Age Album, with his band Opium Moon. We wish Luisito and MB our sincere and excited congrats!! We’re proud to have you in our family! 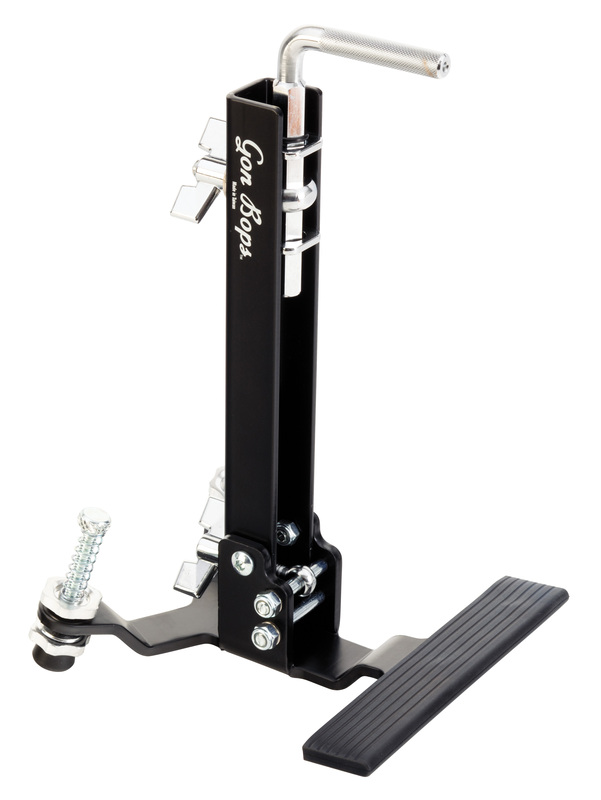 Gon Bops announces a new Foot Pedal Stand, designed for gigging professionals who want a strong but lightweight stand! Sturdy and very portable, the new stand is extremely lightweight and folds easily into your travel bag, making it a perfect choice to take on the road. 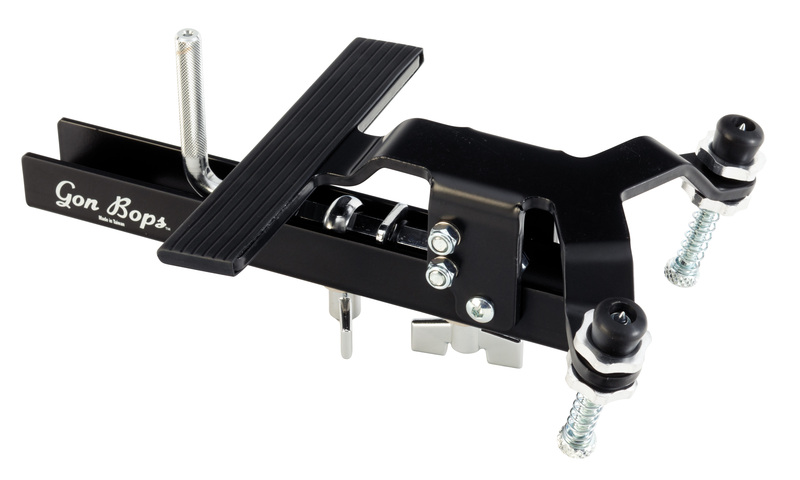 It attaches easily to any standard bass drum pedal and offers a 3/8″ diameter adjustable post that slides to the exact position for your cowbells, blocks, tambourines or other mountable small percussion instruments. 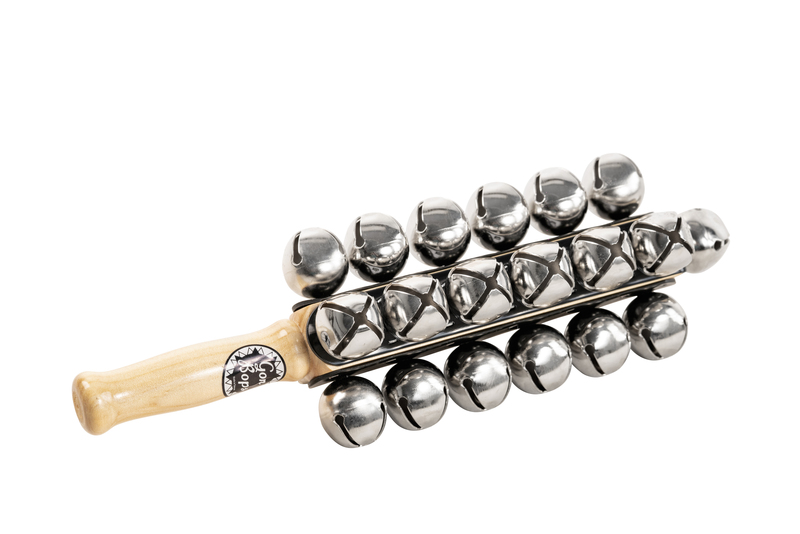 Gon Bops new 25-Jingle Sleigh Bells offer that traditional sleigh bell sound, ideal for any celebratory occasion. With its ergo wooden handle and shiny steel bells, this classic instrument is perfect for holiday music or other uses like alternative percussive sound effects, traditional English Morris folk dancing, or symphonic applications like Mahler’s Symphony No. 4. A must-have in any percussionist’s bag. With the announcement of 4 new Fiesta Djembes, Gon Bops introduces a whole new level of sound and quality to the student/beginner level Djembe range. 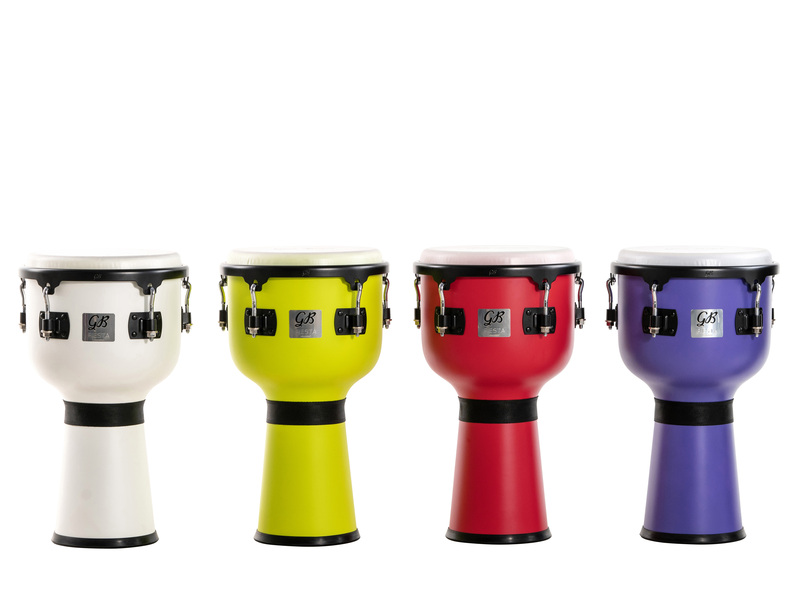 Offered in matching colors to the Gon Bops Fiesta Color Cajon line − Ultra Violet, Lime Crush, Cherry Bomb and White Magic − Fiesta Djembes are crafted from quality Mango wood at dimensions of 10” diameter x 19” height. The REMO white suede heads deliver an extremely wide range of tone that can be easily tuned for pitches from a doumbek to a djembe. GON BOPS ANNOUNCES NEW 10” MARIANO DJEMBE! Gon Bops has just announced a deeper Djembe selection for 2019, including a new 10” model in the Mariano line. Like the 12” Mariano Djembe, the new 10” instrument is crafted from Durian wood for extreme lightness and strength, with a compact top ring that’s designed to fit nice and tight to the player’s body. An exceptional high-tuning capability delivers strong bass and high, cutting slaps. The REMO Black Suede head is smooth to the touch and provides excellent warmth and articulation. 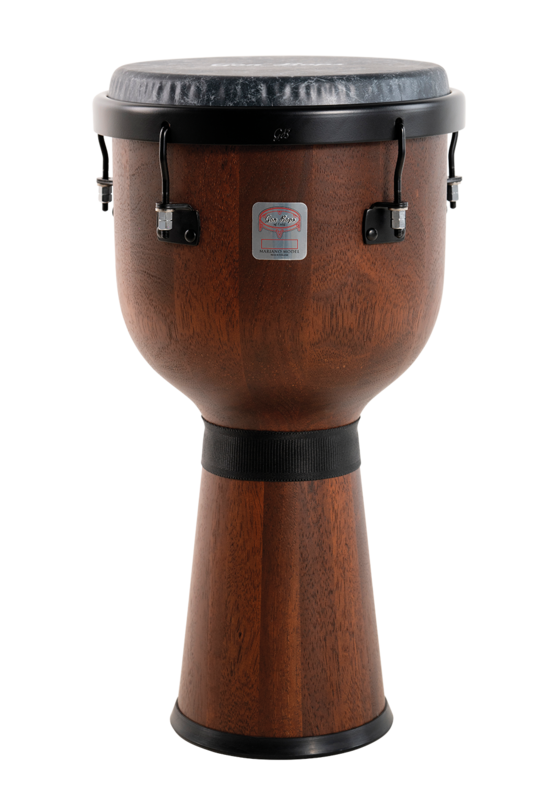 Extremely light, the 10” Mariano Djembe is a killer sounding, portable instrument that’s ready to go on the road! New Gon Bops Fiesta bells are crafted from clear-coated raw steel and offer excellent sound and performance at a very smart price. The eye-bolt pull clamp accommodates mounting rods up to 3/8”. The Fiesta Cha-Cha (FS053) and Cha-Cha Alto bells (FS043) offer clear, high-pitched tone. Designed to be mounted, they can also be played handheld for desired muted tones. The Fiesta Timbale Bell (FS084) is designed to mount on a timbale or drum set. Medium-pitched, it is ideal for playing articulate rhythmic patterns in both percussion and drum sets. 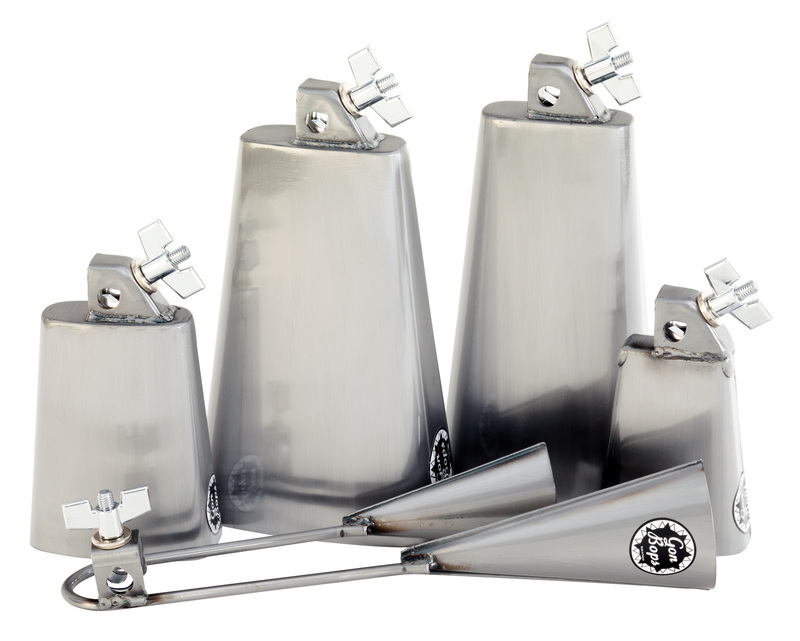 The Fiesta Rock bell (FS085) offers dry, low-pitched tone that cuts cleanly through the loudest music, providing maximum versatility for both drumset and percussion set-ups. The Fiesta Agogo bell (FSAG011) offers brightness and pitch for Samba, Salsa or even mainstream music. The tone is clear and bright. Gon Bops’ New Artists of 2018! Gon Bops’ New Artists of 2018! Gon Bops rounds out another fantastic year, welcoming these highly skilled, exciting new artists! 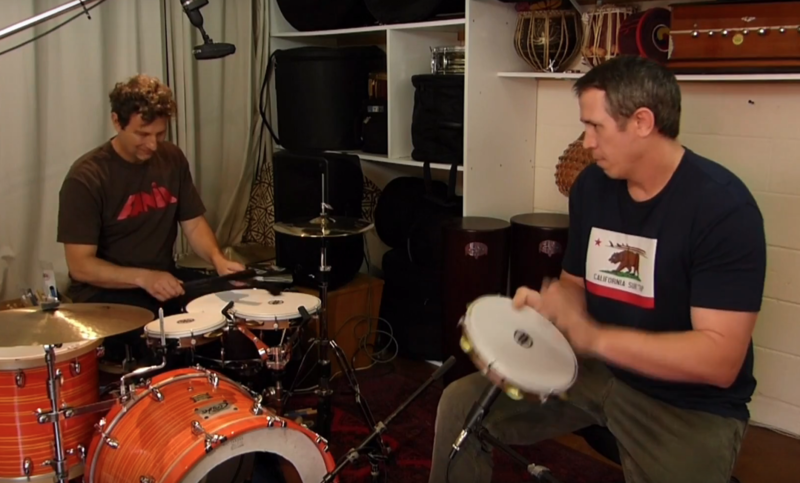 From Tel Aviv, Israel – Itamar Doari, a virtuoso percussionist, blends various instruments of different origin into a hybrid setup with masterful technique and musicality. Carolina Cohen from Buenos Aires, Argentina brings her fresh, strong and joyous talent to our family. Studying with such masters as Israel “Cachao” Lopez, Richard Marquez currently plays with Cuban born musician/Academy award nominated actor Andy Garcia and the Cineson All-Stars. Percussionist Mat Britain has performed with many influential country artists including appearing on platinum hits with Kenny Chesney. 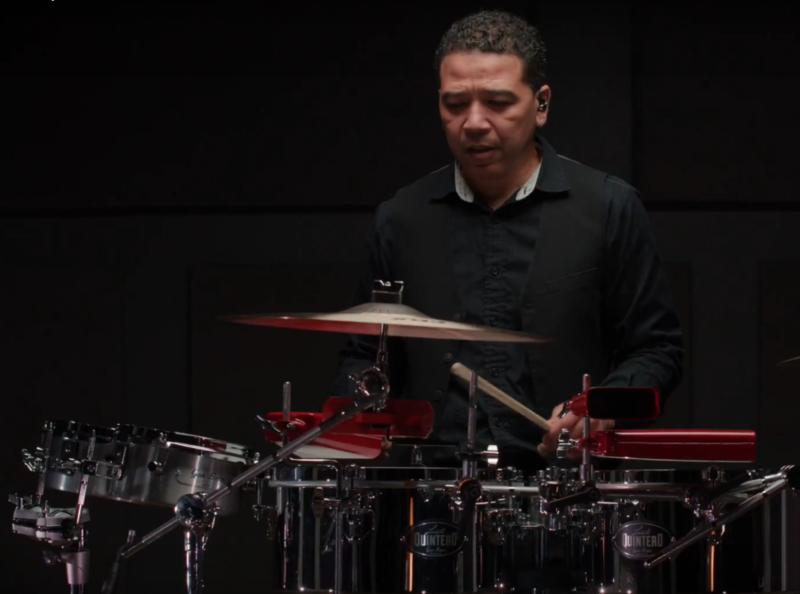 Brazilian drummer/percussionist Eduardo Guedes has performed and/or recorded with greats including Bobby Sanabria, Willie Nelson, Kiko Freitas, Dudu Tucci and many others. Steven Brezet has traveled to many African countries, has studied with master drummer Ndiaye Rose and can be heard on Snarky Puppy’s “We Like It Here” album. Gon Bops is proud to welcome and work with these fine artists and looks forward to another great year in 2019!! Gon Bops Features New Videos! We’re excited to showcase our latest films, featuring some of the great new products we’ve recently introduced! 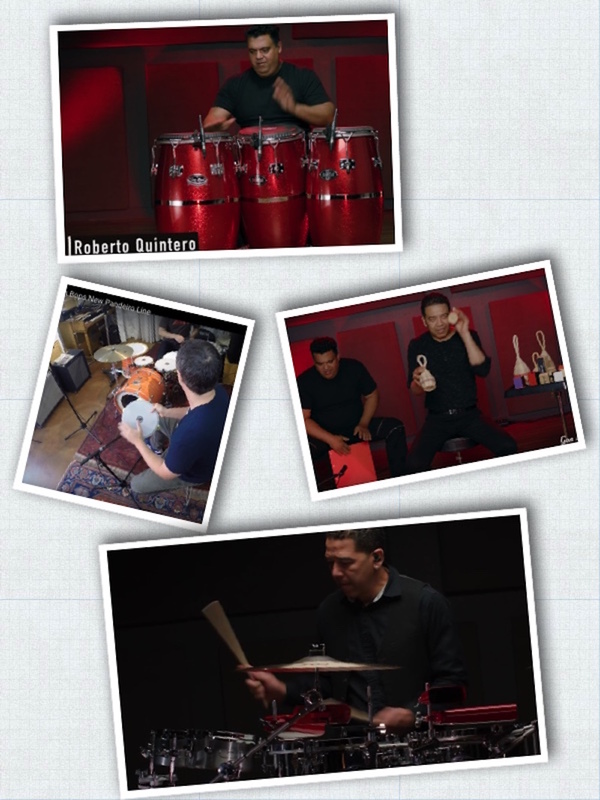 New clips include our beautiful new Roberto Quintero Fiberglass congas and bongos, authentic Brazilian-made Caxixi, Timbale Snare and our incredibly light Pandeiro line. Stay tuned as we continue to post more and more vid features!